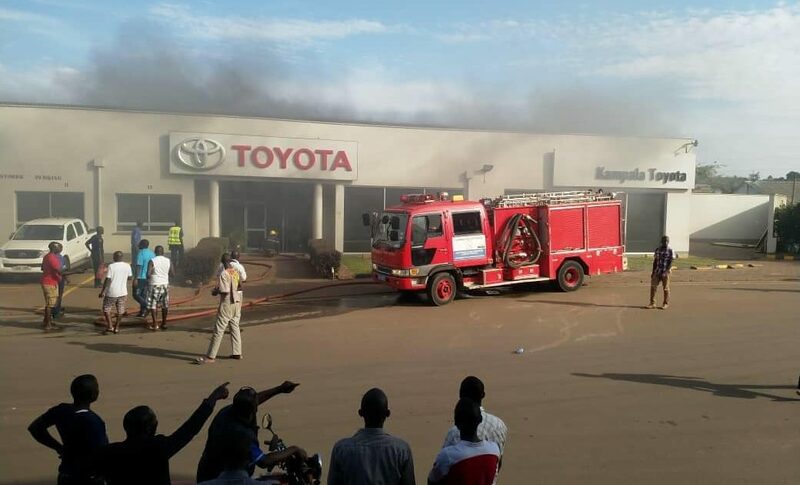 Toyota Uganda showroom has Sunday evening caught fire, leaving a number of cars destroyed. 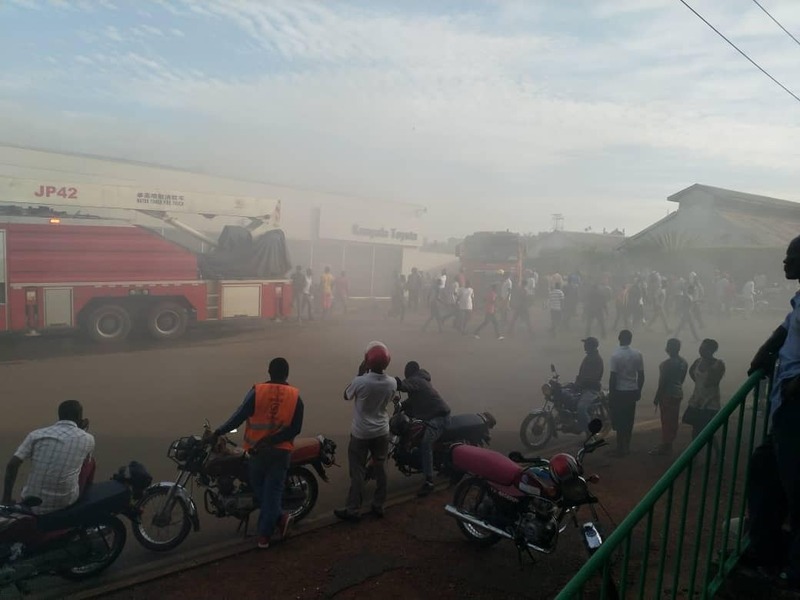 The affected showroom is located on second street industrial area, opposite Club Guvnor in Kampala. 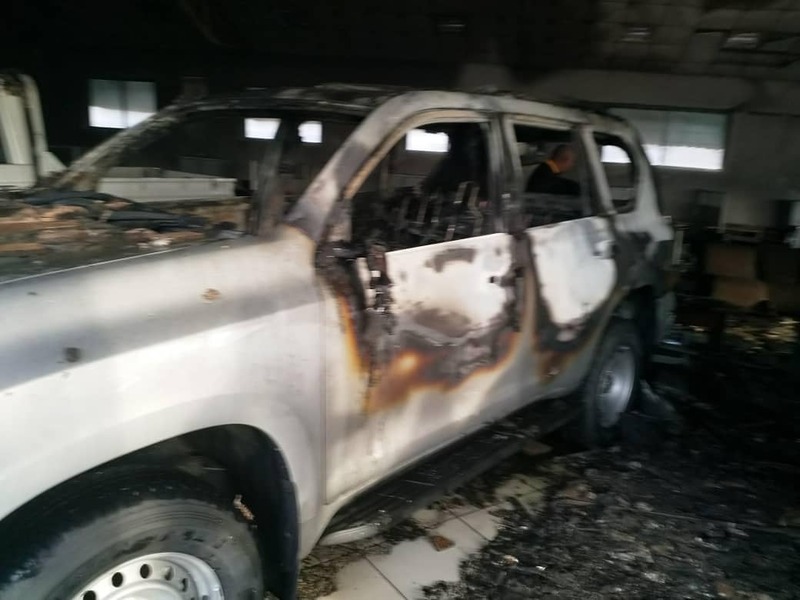 Visible among the damaged cars are Toyota Land Cruiser prado and a Toyota Double cabin. Although the source of the fire hasn’t been established, police says the fire started from the ceiling, citing electric short circuit as the possible cause. By publication time, police fire brigade had swung into action to stop the fire. This story is still being updated. VIDEO: Bebe Cool Releases Brand New Video “Nsilikamu” – Watch Here!